The San Diego Suzuki Institute provides an opportunity for students to deepen their skills, guided by an internationally acclaimed faculty in a supportive and motivational environment. Throughout the five days on the Point Loma campus, students will receive technique classes, jazz orchestra and many other exciting enrichment opportunities! This program is open to all Suzuki violin, viola, cello, bass and piano students. Single instrument group class that focuses on developing both individual and ensemble skills. Single instrument group class that focuses on developing Suzuki repertoire along with learning new pieces. ​Orchestra style jazz class that focuses on developing sight reading and improvisational skills. 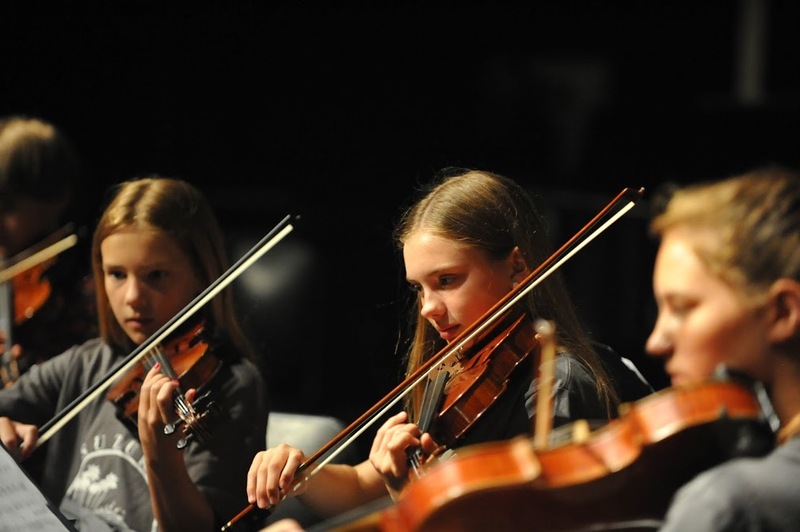 ​Orchestra style fiddle class that focuses on developing sight reading and improvisational skills. Educational games that teach music theory and reading. Large Suzuki style group performance that can either be single instrument or cross instrument. Develop musicianship by listening to other musicians perform. Students can enroll in 1 or 2 enrichment classes. Please note the level requirements for each class. Using musical skills and materials participants already have, soundtracks will be created for one or more videos. Materials can include singing, playing, Suzuki literature, smart phones or tablets. Each group will work together to learn how to compose new soundtracks for videos. ​For book 2 and up students only. Rock and Pop Music is a part of every child's world in everything from movies to watching the Disney channel. In this intro to Rock class, Avi Friedlander will explore the joys of both Rock Music and Classical music in his "Rock" interpretations of traditional Suzuki Material and Classic Rock Music. Mr. Friedlander will share some of his tricks in writing his own solo rock arrangements and from playing in numerous bands. ​For book 3 and up string students only. Interested in trying the bass? This class is geared toward students already proficient in their main instrument. Class will cover basics such posture, bow hold and finger patterns. For book 3 and up students only. Fee includes cost of instrument rental for the week.